For DVD movie collectors who have just got the new Apple TV 4K, there are many different ways to play DVD movies on Apple TV 4K, the following article will share 2 workable ways to get DVD movies played on Apple TV 4K. The hardware you will need to prepare is a common Macbook Pro with the Superdrive (an external USB CD/DVD drive). But you can use any another Mac with DVD drive, as long as it is compatible with AirPlay Mirroring. The first thing that comes into your mind is probably using the DVD Player Software that usually opens when you insert a DVD. But this won’t work and will just show you the error message “The viewer could not be moved to selected screen…. Why? Seems like a copyright thing that it’s just not legally allowed and therefore suppressed by Apple. 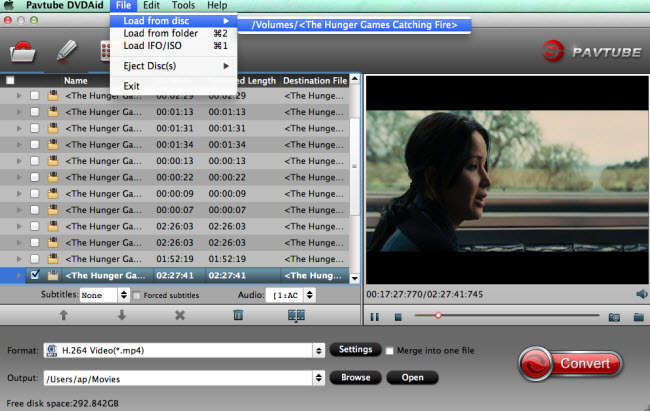 When it comes to playing videos, in most cases VLC is the answer. Go to “File > Open Disc… in VLC and open your DVD. Enable AirPlay Mirroring and make sure that you see the VLC window on your TV. Double Click in the video window for fullscreen and start your movie. Here we go…; video and audio is streamed to your TV. And what about the legal thing? Seems like the combination of open source software and French law helps us here because software is not recognised as patentable in France/EU. 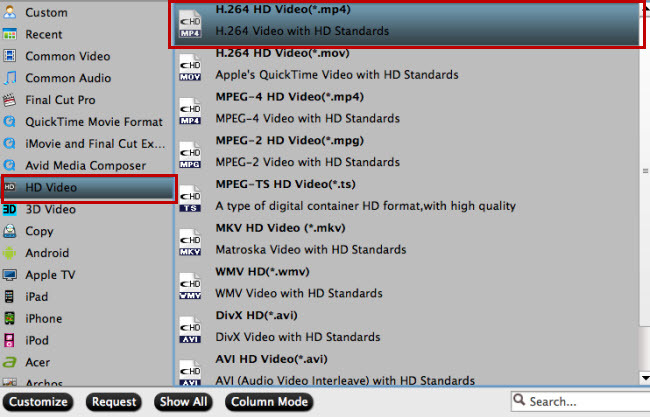 Here, to get a better output file quality, it would be much ideal for you to choose the H.264 HD format with the container file format of .mp4, .mov or .m4v file formats. For Windows users, you can go to download Pavtube DVDAid to perform the conversion on Windows 10/8.1/8/7. Step 1: Load DVD disc into the program. Insert your DVD into the optical drive on your computer, start the program, on the main interface, click “File…> “Load from disc… to load DVD disc into the program, you can also add Video_TS folder or IFO/Image file into the program. Clicking the Format bar, from its drop-down list, choose Apple TV 4K playable “H.264 Baseline Profile Video(*.mp4)… under “Common Video… main category. Tips: Click “Settings… on the main interface to open “Profile Settings… window, here, you can flexibly choose or specify exactly the profile parameters including video codec, resolution, bit rate, frame rate, audio codec, bit rate, sample rate, channels, etc as you like to get better output video and audio quality for Apple TV 4K. After all setting is completed, hit the “Convert… button at the right bottom of the main interface to begin the ripping process from DVD to Apple TV 4K playable file formats. When the conversion is finished, click “Open Output Folder… icon on the main interface to open the folder with generated files. Then add converted files to iTunes for syncing to Apple TV 4K. How to Choose the Best Apple TV Converter for Mac? How to Set up Apple TV 4?